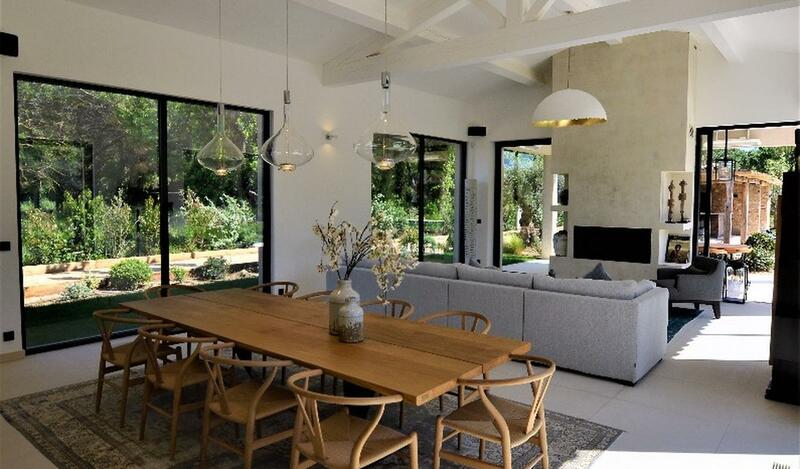 Saint-Tropez contemporary new villa for rent near the beach of Tahiti. 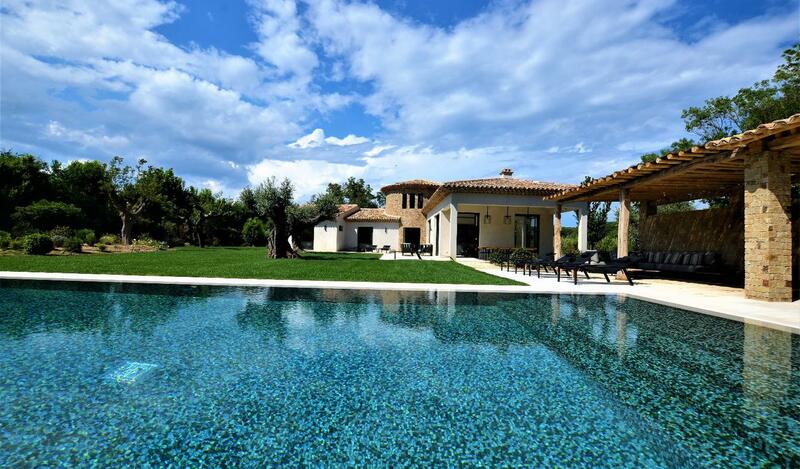 Superb location for this new property for rent, on 5 000m2 of fully landscaped land. Entrance to the large living room, fully equipped kitchen. 3 bedrooms with bathrooms or shower, dressing room, TV. The whole house is on one level, many parking, WIFI, alarm, heated pool, pool house with bar. Ideally located, 5 minutes from the city center of Saint-Tropez, and 5 minutes walk from the beach of Tahiti, and Moorea Pampelonne beach. Dream holidays with friends or family.